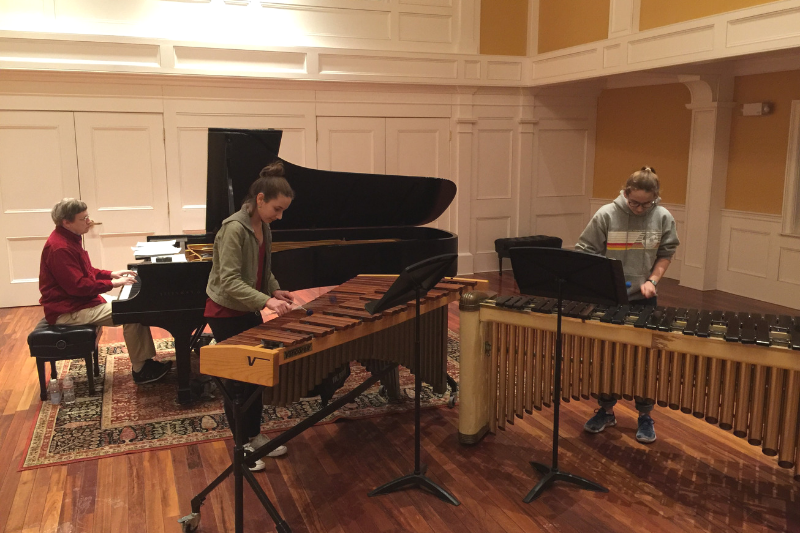 The eighth graders were first introduced to their instrument at Sarah Tenney’s Marimba Magic at The Rivers School Conservatory when they were five years old. They say they kept going because of the unique sound of the instrument. “It taught the kids not just marimba, but how to approach music, hear it and appreciate it in the broad sense,” remembers Karen. “It’s not just intellectual, but physical as well.” Karen’s husband is a professional bass player and she plays the cello. Rachael and Chloe Pratt’s teacher Sarah Tenney says they have been outstanding marimba students at RSC for eight years. “They are a maverick marimba duo,” she says. “They combine being fabulously musical with diligent practicing. 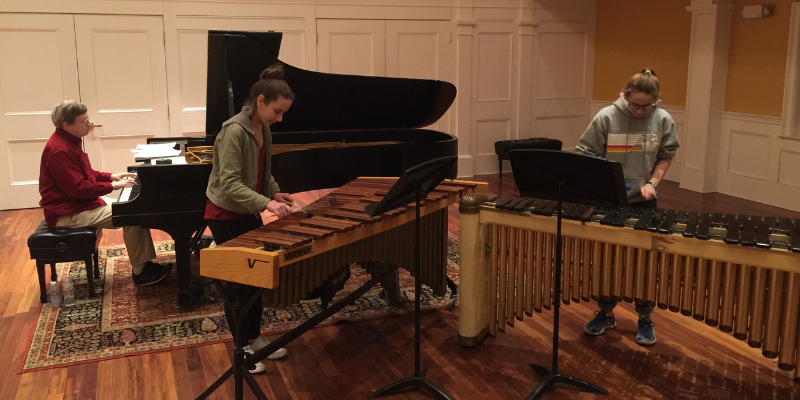 Being twins, there is something magical about their ensemble playing.” According to Tenney, the Pratt sisters will be performing the world premiere of an original work by Larry Bell at the Contemporary Music Seminar as members of the Marimba Magic Ensemble April 7. Karen says her daughters have experienced other benefits from their musical education. “When kids learn to persist, focus on one thing and practice it, those skills extend to everything they do. It helps them study, builds executive skills, and has taught them to prepare for performing in front of other people,” she says. She also values how music has taught them to collaborate and listen to each other. Learn more about our Marimba Magic program here. Please enter your email address and interests below. We will not share your information. We offer premier classical and jazz music education that develops the highest level of artistic and technical achievement in students of all ages.